iPhone Piano Tuning. If you've had enough of hearing your piano go out of tune, every month, all year long, or maybe you've been seeking a better way to save $1,000s of dollars ($250 per year, average) on piano tuning costs, tuning your own piano via your iPhone may be the perfect way to go. Disclaimer: This blog post is no way intended for the occasional musician, fixing a piano on your own, or the immoderately curious. 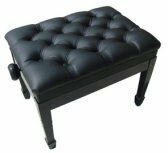 The purpose of this blog post is to help more pianists, piano owners, musicians, and technical professionals to become better acquainted with piano maintenance and tuning, namely, regular piano tuning. The average cost of a piano tuning can range between $50 - $200, depending on the economic climate and demand of the country where you live. Since there are tens of millions of pianos in existence, and fewer than 25,000 piano tuners / technicians to service these pianos, clearly, there is a huge need (not to mention a dire lack) of professional and competent personnel to service and assess these pianos' care and maintenance. -- Carbon fiber or glass soundboards become the manufacturing norm. -- and Titanium robotic 'clock gears' automatically adjust tuning pins as a piano goes out of tune (yet to be invented). Learning how to tune your own piano may be in your best interests. You may be a piano teacher, pianist, musician, studio owner, or hobbyist, but you too can – and should – learn how to tune your piano. You would not only save $1,000s of dollars over the course of your piano's lifetime, but you would be able to better assess problems before they turn into major issues..ahem, when a professional piano technician needs to be called for service. Consider briefly, the math for a moment. On average, a piano's lifespan stretches 70-80 years. Most piano manufacturers recommend tuning every 6 months. A piano tuned every six months times $75 on average per tuning, twice per year ($150), multiplied by 50 years equals $7,500. And of course $100 on average, times 2, times 50 years of piano ownership equals $10,000. But what if you need your piano tuned more often, say once every three to four months? Since a piano falls flat [‘out of tune'] immediately (if not the month of) being serviced, why not opt for your piano to be tuned every month instead? After tuning 1,000+ pianos over the course of one's career, does one truly begin to become an expert piano tuner. In fact, there is a faster way to learn.. much faster... one that can save you thousands of dollars over the course of your piano's lifetime (and your lifetime) if you start, literally, in a few minutes..
And it involves your iPhone… your brain… a tuning hammer… and two rubber wedge mutes. Note: The iPad and iPod can also be used with this software, engineered, tested, refined, and perfected by 70+ aural tuners. You need a solid foundation on which to learn (1) what makes a piano, a piano and (2) the skills necessary to tune your own piano in such a way that it STAYS in tune, long after you tune it. You see, finding the right pitch (A440hz for example), and tuning A4 to A440hz, is easy. Getting the string to STAY SET [locked in] properly, in a wooden pinblock, on a twistable and unstable pin, is another story. 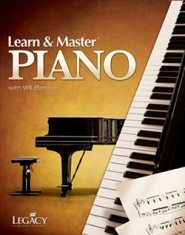 Order the book first and learn the fundamentals of how an in tune piano must sound, first, and then learn how to tune your own piano, based on this knowledge, second. (This actually explains why you'll hear your piano tuner pressing the same note dozens of times, until he/she is satisfied.. When you are hearing the exact same note being played over and over, you may wonder, “it sounds the same to me…so why does he keep playing it so much” (same note, slight variation in pitch/frequency). 1) Each individual note in your piano must be tuned to the EXACT SAME frequency as the note’s unisons (same note, different strings). 2) The tuning pin must be firmly set in place, gripping the pinblock, without bending or twisting (‘flagpoling’) the pin, after giving a few sharp blows to the key. Until these two criteria are met, only THEN can a note STAY in tune. 3) A note can be 100% in tune with itself, but if not in tune with the 87 other notes, it’s 0% in tune. Sound complicated? Well, to be exact, it is (just being perfectly honest with you). But there is an easier way to tune your piano. … only then, can you tune your own piano most effectively. An ETD however, has several advantages that tuning a piano by ear does not. While the human ear can hear approximately the 1/10 of 1% in a change of pitch, an ETD can hear 1/100 of 1%. (1/000 of a semi-tone). This is a major difference of iPhone piano tuning. Tuning your piano via an ETD, in fact, can measure each note to the 1/000 of a semi tone (the distance of a black key to a white key on the piano). The iPhone piano tuning app (see below) accomplishes several things at once [so you don’t need to] by (1) measuring the entire scale of your piano, (2) calculating the best tuning possible, and (3) 'holding your place in line' as you tune. You see, aural tuners begin at A440hz as a starting point, and work their way out. 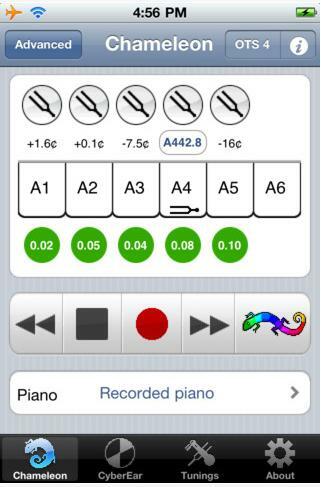 Whereas, iPhone piano tuning allows you to begin ANYWHERE on your piano. Simple. The app first measures five "A"s - A1, A2, A3, A4, and A5. It listens to the actual ‘speaking length’ of each separate string, and then calculates a tuning, after pressing "calculate" within the app. After measuring these reference notes, it has calculated exactly how much ‘stretch’ would be the ideal ‘distance’, from one note to the next, within the piano tuning scale. Side note: Determining, measuring, and setting stretch is something that takes even the most advanced aural tuners YEARS to perfect. The app is called the iRCT - Reyburn Cyber Tuner and is able to determine, calculate, and store the best possible tuning on your piano. Stretch refers to the tonal distance between any two notes on the keyboard. 'More stretch’ causes your piano to sound more ‘beat-y’, meaning, the notes ‘pulse’ more when played, giving off a rich, lively sound; whereas less stretch means a clean, clear, more distinct, yet beautiful sound that is less 'vibrational', but more ‘straight’ to the human ear (less ‘beaty’). You may be wondering, “Why purchase an app that costs the equivalent of 10x piano tunings, when I can get one for 99 cents (or for free)? 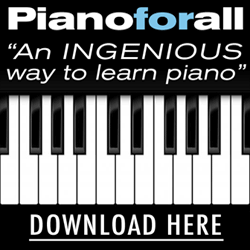 Try the free of 99 cent app once, then come on back to this page when you're ready, after satisfying your curiosity (see disclaimer above), and learn how a real concert piano tuning should sound. 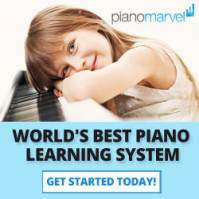 Most free piano tuning apps DO NOT calculate (1) piano inharmonicity, (2) scaling (thickness of wire, from note to note), and most importantly, (3) each individual's piano's best tuning partials, octave stretch, and optimized calculations, per piano. You’ll never believe the behind the scenes story of how this app was programed (which justifies its cost). The app was actually (1) programmed, (2) tested, and (3) refined by over 80 aural piano tuners, who have spent no less than a decade in their respective trade. 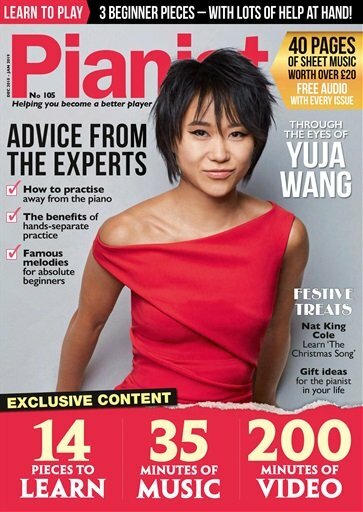 I compare this to 80+ piano tuners, standing in one room, giving you their advice - while not missing a wink - as you bring your piano into perfect tune… on your own. For some, yes. But with Reyburn CyberTuner, this simply isn't the case. You need to hear it and try it for yourself, firsthand, to become a believer. Hear it. Experience it. Appreciate it... and then judge for yourself. Hear the distinct clarity of the combined richness of tones, beauty, and clarity that come with a perfectly balanced, musical, and perfectly calculated piano tuning. "Why do some piano tuners tune solely by ear? you may ask? "… And rightly so. And moreover, without using this “consultant” to help them to OPTIMIZE the skills they already possess? Because they have their pride. There’s some of us who may still "live" (psychologically; unprogressively; or better yet, unrepentantly to a degree) in the 1970s, 1980s, or even the 1990s, who would rather calculate highway routes in their mind, than use Google Maps or Waze, both highly sophisticated, and well programmed GPS apps - to reach their destination more efficiently (less guess work) and more quickly (avoiding traffic jams), in real-time. While the human ear may be the final judge of a piano's tuning, an ETD doesn’t miss a semi-tone. As the months and years roll by, your piano begins to drift, slowly out of tune. You call your tuner back, and request him/her to DUPLICATE EXACTLY the SAME TUNING, the first one as before. I ask you, what human has the ability to PERFECTLY 'store' and record the frequency of 220 strings, times 100 pianos (clients), to the 1,000th of a semi-tone… and duplicate the process over and over again... per every unique piano? No one. But let’s be real for a second. An ETD actually can. Its memory is infallible and the file can be stored and easily recalled at any given time by an AURAL tuner. The best of aural tuners choose to allow their work to fade into oblivion, rather than to simply ‘backup their best work’ (computer term) to recall at a future date, to further please their clients. Don’t make the same mistake most aural tuners often do. Let an '80+ aural tuner consultation group' be your guide to tuning your piano. Save $1,000s this year alone on the cost of unlimited piano tunings, via your iPhone or iPod Touch. Order the book (first), then click on the link (below) to order Reyburn CyberTuner from iTunes.